Yelp Eat24 connects restaurants to customers with their online food delivery platform. Eat24 makes it easier for customers to order their favorite foods from their favorite restaurants. Customers can browse restaurant menus, read reviews and order food online using the Eat24 mobile app or website. Restaurant owners receive orders on a tablet supplied by Eat24, which is much more convenient than receiving orders over the phone or other means. The entire order taking process is managed by Eat24, allowing restaurants to focus on the preparation of quality food and not on marketing and infrastructure. Yelp Eat24’s goal was to configure and ship hundreds of tablets to restaurant owners across the US on a monthly basis. Configuring devices one by one was error-prone and took an enormous amount of time. Once deployed, Yelp realized that the user experience was not consistent and required continuous technical support. This triggered Yelp Eat24 to look for a strong Tablet Lockdown and Remote Management solution. Yelp Eat24 evaluated several vendors, finally choosing 42Gears EMM Suite consisting of SureMDM and SureLock. The range of features offered by SureMDM and SureLock matched Eat24’s business requirements. SureLock was deployed on tablets, locking them down to only Eat24’s food ordering application. 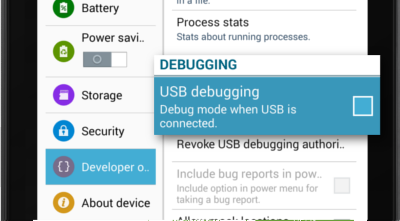 This ensured that user could not tamper with these tablets, OS settings and more importantly their application. SureLock reduced technical support incidents while also providing a better user experience. Faster provisioning was also a prime requirement of Eat24. Configuring each device manually consumed more time and bandwidth of the IT team. Through SureMDM, Eat24 is able to continuously roll out these devices in record time. Provisioning includes installation of Eat24 application and configuration of system settings. Once deployed, Eat24 can remotely update newer versions of their app on all of their managed tablets with just a few clicks. If a user reports an issue, Eat24’s support agents can remotely troubleshoot and fix the problem using SureMDM’s screen sharing and control feature. Besides faster provisioning, application management, and remote troubleshooting, Eat24 also sought the security and convenience of Single Sign-On (SSO) functionality in SureMDM. Challenges : Operating across 32 countries, Yelp Eat24 is an online food delivery platform. Every day, users order food from thousands of restaurants and restaurant owners receive these orders on tablets provided through Eat24. Managing their growth requires Eat24 to provision and ship out tablets as quickly as possible. Once these tablets are in restaurants, managing Eat24 application and providing support quickly became their next problem. Solution : Yelp Eat24 use 42Gears EMM solution to secure, provision, and manage their deployed tablets. 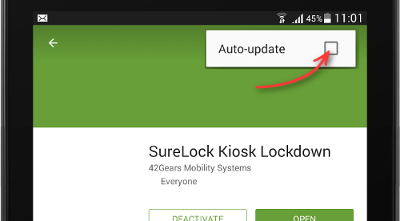 In particular, SureLock prevents device misuse, which in turn, reduces support incidents. SureMDM, allows faster provisioning of tablets and is used to remotely troubleshoot problems once they are deployed.